The BenQ Zowie XL2735 gaming display delivers a responsive and buttery smooth gameplay experience adequate for the high-end professional gamers. The impeccable 3ms input lag, 144Hz refresh rate, and 1ms response time speed give you the edge over your opponents in competitive FPS games as there’s no trace of blurring and ghosting present. Moreover, it features a fully adjustable design with plenty of extra exclusive features such as the shading hood and a remote control to quickly swap between your saved gaming profiles. Image quality is rarely a big concern to the highly competitive gamers as they’re willing to sacrifice detail and color quality for smoother performance. The BenQ Zowie XL2735, therefore, features a TN panel that allows for the rapid 1ms response time, but at the cost of color accuracy; the TN panel is developed by AU Optronics, it supports 8-bit color without dithering but covers only 90% of the sRGB color space. Another drawback of the TN panel monitors are the viewing angles; In this case, they are 170 degrees horizontal and 160 degrees vertical. This results in color and contrast shifts when the image is viewed from certain angles, but as long as you’re sitting in front of the screen, as gamers do, the image will remain perfect. The picture out of the box may repel you at first, but that’s only due to the picture setting being set to the FPS preset by default. This mode decreases contrast and utilizes the Black eQualizer feature so that you may easily spot the enemies lurking in the dark. When you wish to watch a movie or surf the web, you should change the picture settings to the Standard mode for a much better image quality; Luckily, the provided S. Switch remote control makes that task as easy as possible. Additionally, the Instant Mode feature reduces the input lag in order to improve the performance, but it does so by avoiding certain image processing. Keep in mind the effects of these features on the picture and performance, and adjust them accordingly as they make a big difference. Nevertheless, due to its WQHD resolution of 2560×1440 pixels, the BenQ Zowie XL2735 TN panel image quality is crisp and sharp while the 144Hz refresh rate, low input lag, and 1ms response time deliver a fluid gameplay. The BenQ Zowie XL2735 144Hz gaming monitor delivers a performance suited for the eSports competitions. 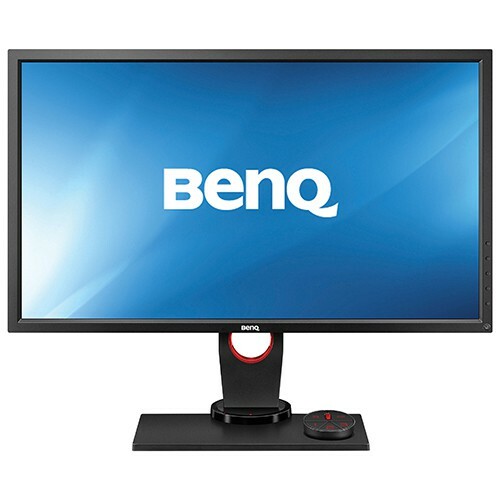 In fact, the BenQ gaming displays are the official monitors for various tournaments including ESL, MLG, and DreamHack, among others. The difference between 144Hz and 60Hz in competitive gaming is critical as the image refreshes at more than twice the speed thus giving you a huge advantage over those with regular monitors. Add to that the BenQ Zowie XL2735 input lag of 3ms and response time speed of 1ms, and you get the flawless gaming machine which gives you no excuse for losing; Well, you can always blame the internet connection still. 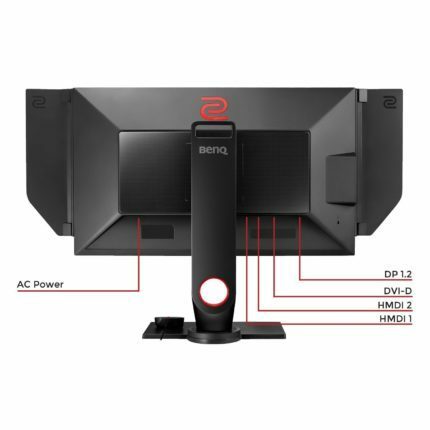 What distinguished the BenQ Zowie XL2735 display from the rest of the gaming monitors is the BenQ DyAc technology. In short, the DyAc (Dynamic Accuracy) technology is essentially the BenQ Blur Reduction technology which entirely eliminates blurring of the fast moving objects by backlight strobing. You can enable it only on fixed refresh rates including 144Hz, 120Hz, and 100Hz. At 60Hz and 85Hz, this feature utilizes double strobing instead of single strobing as it does at higher refresh rates, which results in a not as effectively reduced motion blur and worse image quality. Therefore, it’s not recommended to be used for gaming consoles or games which max out at 60Hz. In some of the older versions of the XL series monitors, such as the BenQ XL2730Z, you could enable single strobing at lower refresh rates which would result in a smooth image quality with zero blur even at 60Hz. However, this would also cause screen flicker, though to an extent at which people didn’t even notice it or weren’t bothered by it. Since such option isn’t available in the BenQ Zowie XL2735 DyAc monitor, players who wish to use the Dynamic Accuracy to reduce the motion blur at 60Hz or 85Hz can only do so by double strobing, which isn’t as effective as the single strobing at 100Hz and beyond. 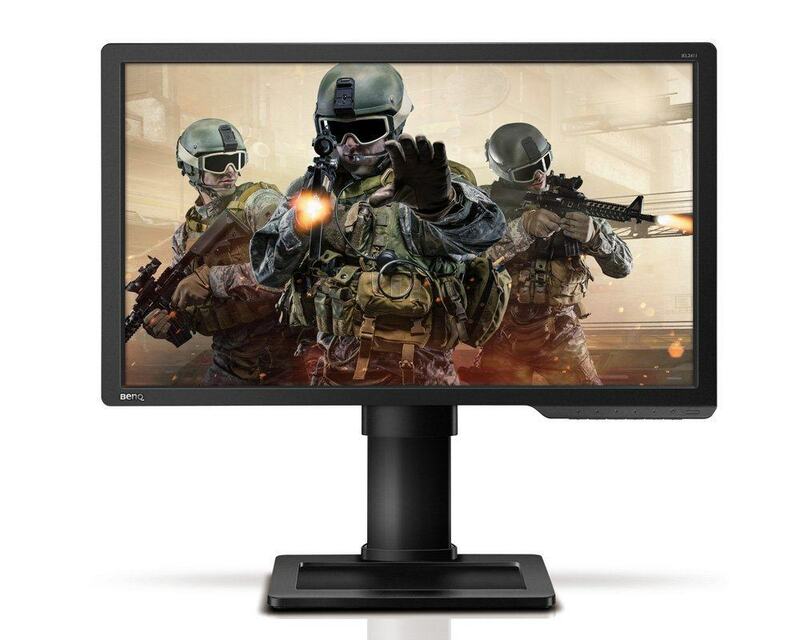 The design of the BenQ Zowie XL2735 1440p gaming monitor consists of somewhat thick bezels with a plastic matte finish while at the back, certain parts are glossy. The monitor is versatile and offers full ergonomic support including 140mm height adjustment, 45° swivel, -5, 20° tilt, 90° pivot, and 100 x 100 VESA mount compatibility. The stand is quite sturdy and the monitor, overall, looks pretty decent without too many flashy gaming-inspired gimmicks. The screen is coated with a matte anti-glare finish. Along with the monitor, you will get the fully adjustable shading hood that allows you to entirely immersive into video games. As far as connectivity is concerned, there is a DisplayPort 1.2, an HDMI 1.4, an HDMI 2.0, a Dual-Link DVI, two USB 3.0 ports on the side along with the headphones and microphone jacks as well as the headphone hook. The S-Switch remote control allows you to quickly enter the menu, change input source, and swap between the three customizable gaming profiles. There are five OSD (On-Screen Display) buttons on the bottom bezel, three of which can also be used for additional shortcuts to certain OSD functions. The BenQ Zowie XL2735 price amounts to $550 at the moment (July 2017). When it was released a year ago, it was priced at $700, so the price drop makes it a great choice for the high-end competitive players who rely on high refresh rates, quick response time, low input lag, and blur reduction technologies. The only thing that it lacks is the adaptive-sync, but since the BenQ XL2735 focuses on reducing motion blur with DyAc technology which cannot be active at the same time as variable sync anyway, it’s negligible. For those who don’t seek blur reducing technology for the professional FPS games, there are many cheaper alternatives, some of which even feature G-Sync technology at the same price. 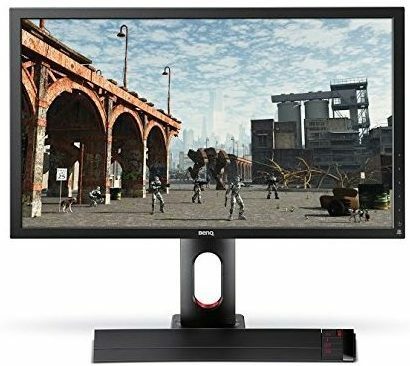 If you want a 144Hz gaming monitor with the QHD resolution, and you have a powerful Nvidia graphics card, we recommend that you make full use of it; So, check out the Dell S2716DG G-Sync gaming monitor which is available for the same price. The BenQ Zowie XL2730 is pretty much identical to the Zowie XL2735 model, except that it features AMD FreeSync. It has all the same key specifications including the 1ms response time speed, 3ms input lag, and 144Hz refresh rate. However, instead of the Dynamic Accuracy technology, it features the older BenQ Motion Blur Reduction technology which only works at 120Hz and 144Hz, unlike the DyAc that works at 100Hz as well. Moreover, the XL2730 has no shading hood, but it does offer the S-Switch device and other gaming features. 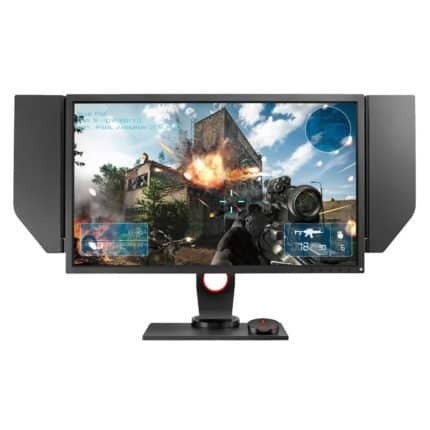 The BenQ Zowie XL2730 FreeSync monitor is available for $50 less than the XL2735 model which makes it appealing for those who are torn between variable sync and blur reduction technologies. Keep in mind, however, that the Acer XG270HU, for example, which is also a 1440p 144Hz gaming monitor with FreeSync, is available for $100 less than the XL2730 – but it has no blur reduction. Overall, the BenQ Zowie XL2735 is worth its price only if you’re a professional player that can maintain 100FPS (Frames Per Second) minimum at all times. So, if you plan to go pro, save up for the XL2735 instead of XL2730, and if you play competitive games mainly for fun, opt for the mentioned Acer or Dell models instead according to your graphics card. The BenQ Zowie XL2735 144Hz gaming monitor delivers a flawless performance that will quench the bloodthirst of professional gamers. The DyAc works as a charm in eliminating motion blur, while the quick response time, low input lag, and high refresh rate provide you with the most responsive gameplay possible. The image may not be perfect, but once you disable all the game-enhancing features, it’s more than enough for an immersive and crystal-clear movie watching or web surfing activities. The plethora of exclusive features such as the S-Switch, shading hood, versatile ergonomics, and extensive connectivity nicely complement the already great gaming monitor. Its only flaw is that it’s missing the single strobe at 60Hz and customized 85Hz refresh rates like older BenQ monitors, so that gamers could utilize the motion blur-free technology at 60Hz locked games and when their FPS rate drops below 100Hz. The BenQ Zowie XL2735 delivers a smooth performance thanks to its 3ms low input lag, 1ms response time speed, and 144Hz refresh rate as well as blur reduction technology, DyAc. Along with the perfect performance, the BenQ Zowie XL2735 offers plenty of exclusive features, extensive connectivity, and a fully ergonomic design. Hell no at this price, for 550$ there is Acer XF270HUA with ips pannel, 144hz, no bezel and freesync.